ELITE Windows & Doors manufacture high end quality timber window and doors. Our custom-made product is of the highest quality at an affordable price. Elite’s windows and doors are the preferred product for many Victoria’s major construction companies, home builders and architects. Recent projects have included wineries, commercial sporting clubs and hotels and prestige executive homes. We also cater for smaller builders and renovators with one of our boutique builders having won the Master Builders 2010 prize for the best renovation $500,000 – $1,000,000. This comes on top of their 2008 win in the $300,000 - $500,000 category, all using Elite Windows and Doors. After all of this, regional builders, owner builders and do-it-yourself owners wanting a better product and make the informed decision to source their windows and doors from ELITE. 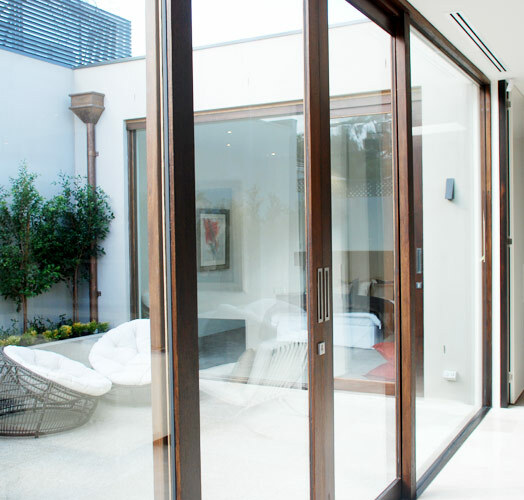 We source our hardware and glass from Australian suppliers and manufacturers. From Elite’s point of view its simple our product is truly Australian made, we manufacture it at our premises in Carrum Downs Victoria, all of our suppliers are Australian based and you can be confident that when you purchase your windows and doors that your decision is going to provide jobs for Australians in Australia and less profits going off shore, is better for our economy. Timber is a natural product which is carbon positive, unlike other framing materials: Aluminum requires massive amounts of electricity to produce and is carbon negative, PVC is derived from the Petro-Chemical Industry it’s not only carbon negative but a poor use of a dwindling resource. When you chose timber, the carbon in the timber is locked in forever, we choose only timber that is sourced from managed renewable forests in Victoria and Tasmania and the timber does not come from ancient or old growth forests; this provides jobs and economic gains in small communities not big business on far flung shores. Timber is also a natural insulator and poor conductor, it gives you performance ratings even before you decide on glazing, unlike aluminum. Lastly, there is the look... place a timber window against any of its competitors and there is no comparison, the natural beauty of timber can be accentuated by staining or lacquer and if you change your mind on the colour, that’s easy too, try painting aluminum or PVC! Your decision to purchase windows and doors from ELITE is a simple one, it’s better for you, the environment, the economy and your wallet. If it can be made in timber then we can make it.